This article was written by Stephen Harding from the University of Nottingham, and was originally published by The Conversation. However, there are also several reports in Nordic sagas and other sources of a sólarsteinn 'sunstone'. The literature doesn’t say what this was used for but it has sparked decades of research examining if this might be a reference to a more intriguing form of navigational tool. The idea is that the Vikings may have used the interaction of sunlight with particular types of crystal to create a navigational aid that may even have worked in overcast conditions. This would mean the Vikings had discovered the basic principles of measuring polarised light centuries before they were explained scientifically and which are today used to identify and measure different chemicals. Scientists are now getting closer to establishing if this form of navigation would have been possible, or if it is just a fanciful hypothesis. To understand how this might have worked, we need to understand some things about the way light, and particularly sunlight, can be affected. Light coming from the Sun is scattered and polarised by the atmosphere. This occurs when light is absorbed and re-emitted with the same energy by air molecules and by different amounts depending on the light’s wavelength. The blue end of the light spectrum is scattered more than the red, as explained in theory developed by the British physicist Lord Rayleigh in the 19th century. Scattering by particles in the atmosphere explains why the sky appears blue. 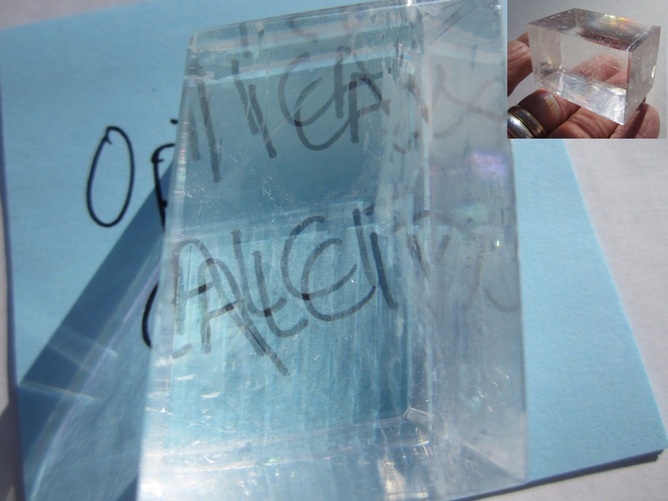 So, in theory at least, examining how sunlight passes through one of these crystals - and appropriately calibrated - could be used as a guide for sailors to estimate the position of the Sun. This could then allow them to determine the direction of geographic north - even without understanding the scientific principles behind these phenomena. The latest in an impressive roster of publications on the subject recently appeared in Royal Society Open Science, seeking to address this precise question. Gabor Horvath and his colleagues looked at whether the optical signals from these three types of crystal would be strong enough to be detected and with enough accuracy to predict the position of the Sun under a cloudy sky. But if the researchers establish that sunstones could have accurately been used to determine the direction of geographic north, then the idea looks feasible. Then all that will remain to finally prove this fascinating hypothesis will be to find a Viking ship with a calibrated sunstone in it. That, however, may take some time.